JQ Talks: How To Travel From KL-SG In 2.5 Hours By Train? So apparently, unless you speed like a mad person with your car, it'll probably takes your more than 3 hours driving from KL to SG. My past experience of driving from KL to Johor town took me about 5 hours. It was such a tiring experience and no, I don't ever plan to drive to Johor, needless to say Singapore, ever again. I'd rather fly even though it's expensive. 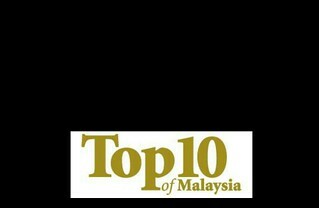 But hey, I just found out that Malaysia is in the midst of planning something pretty big. Malaysia is working on this KL-SG SR (High Speed Railway) project where it also stop by on a few major city between KL and Singapore. If you have watched "Train to Busan", you would know that KTX is a super awesome high speed train that connects cities within South Korea. Recently, KTX came to Malaysia to promote Korea's HSR technology to Malaysian public with the aim to join the bid for KL-SG HSR project. 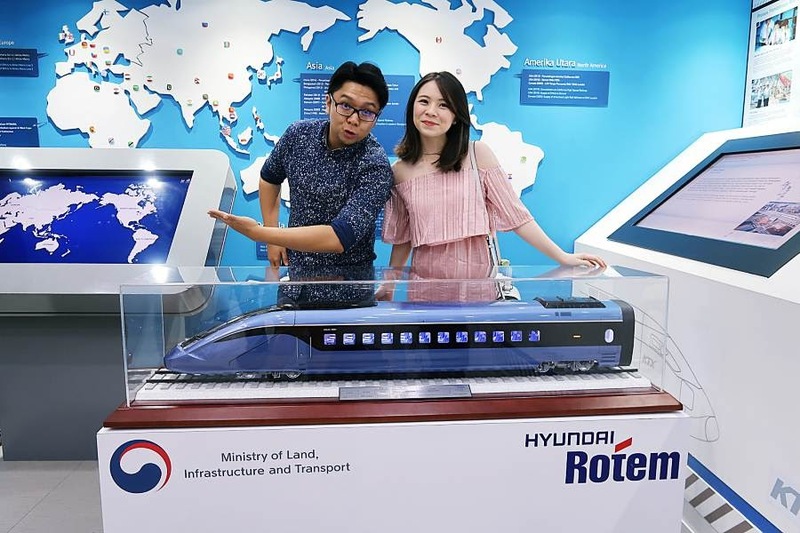 The KTX showroom in Nu Sentral allowed us to understand the Korea's HSR technology better through various audiovisual equipment such as high-tech displays and videos that provide insights into the latest railway technologies, 3D simulator, and six seated 4D theatre that's aptly built into the shell of a high-speed railway locomotive. Do Like and Follow #TehChamLee on Facebook and also YouTube! Among the competitors of KL-SG HSR project, from what I know, I've only seen Korea promoting its technology in a bid to join the project by operating a permanent exhibition hall, which I was told that will close this coming November 2017. If you are still interested to check the showroom out, contact them to confirm their closing date and book your 4D experience so you won't be disappointed. Since November 2015, roughly 380 thousand visitors have visited the showroom so far and shown interest in Korea's HSR. Threefold Braking System - Securing unfailing braking performance. Shock Absorbing Device - Absorbing impact in case of head-on collision. Driver Monitoring System - Automatically stopping train when driver is unable to operate. Bogie Safety Detection System - Taking safety measures in case of detecting abnormal vibration at bogie. At the end of it all, if you ask me "Am I excited?" Yeah, I believe I am. I mean, speaking for someone who used to take trains everywhere when I was younger, I did secretly wished that I can just hope on a train directly to Singapore with journey that doesn't take up my half of my day. I'll be able to visit my friends in Singapore without the hassle of needing to abide to airport packing system. Of course, as much as I am excited of this convenience, my concern is the price. I hope that it would be much cheaper (please be so much more cheaper) than air tickets. Other than that, my other concern is that my friends in Singapore will probably start saying that there's no reason for me to not visit them anymore if it's cheap and truly fast. Darn It! One last thing, Korea Tourism Organization (KTO) Malaysia is giving out a quick guide booklet (DKYW Booklet) with tons of discount vouchers and coupons in there that you can use when visiting South Korea. Personally, I'm going to Korea soon and I'm currently planning my trip around the discounts and information from this booklet. Trying to make the most out of ever coupon possible. Valid till March 2018. You can redeem it at the website below. For more information on KTX Showroom or on the DKYW Booklet , do visit www.visitkorea.com.my or call 03-20722515.